Why not start with a classic? Every person uses paper, so how could anyone not absolutely love this? 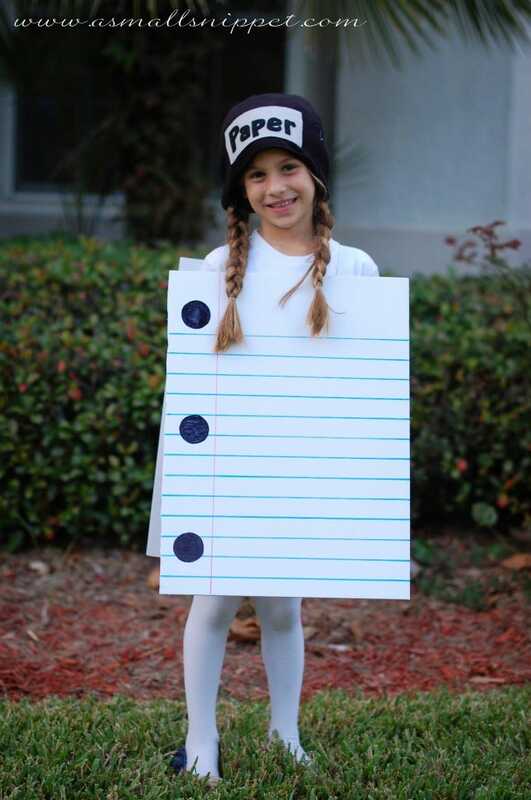 Give yourself some edge with this cute and simple paper costume! It’s a staple in every office, so it’s bound to be a staple during Halloween. 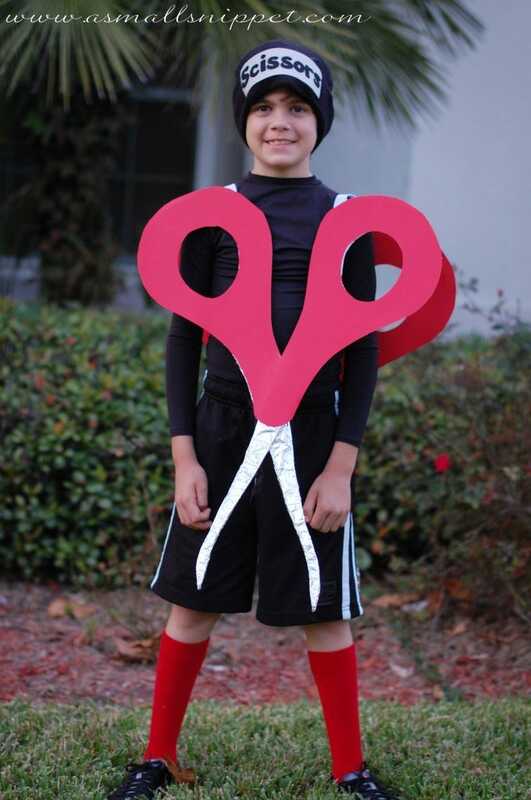 Pairing well with the paper for a two-person costume or on its own, this scissors costume is customizable, as you’re able to make the handle any color or design. Wear what you want underneath for some comfort during your long night of candy gathering. No matter what you choose, you’re bound to look sharp! This idea is super versatile as it can be altered to be many things. Make it a classic cork board with tacks to achieve a genuine office vibe or a wearable inspiration board (the latest goal-setting trend). Our personal favorite? 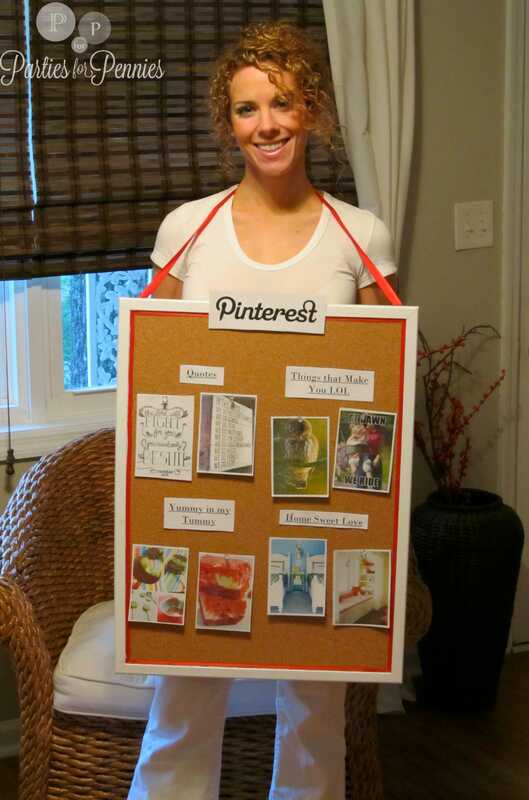 A social media feed, such as Heidi did in the image – a Pinterest board! When there’s paper, there’s usually a paperclip not far away. 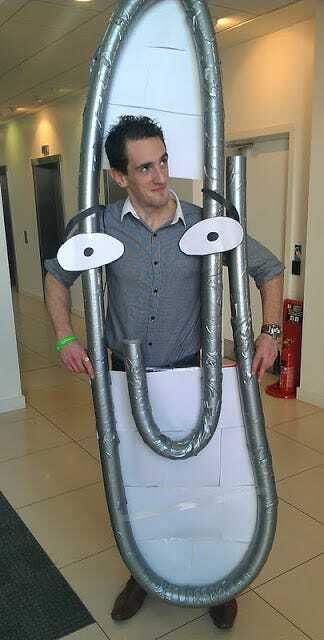 Much like the scissors, this costume allows you to wear your own attire – though a gray theme really brings out the authentic paperclip feel. Who ever said Halloween had to be so dark? 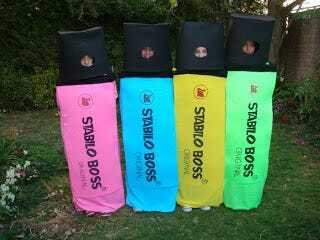 Be the center of attention with these bold highlighter costumes. Whether single or coming in a pack, these are undoubtedly perfect for an office Halloween party. Looking for something more punny? 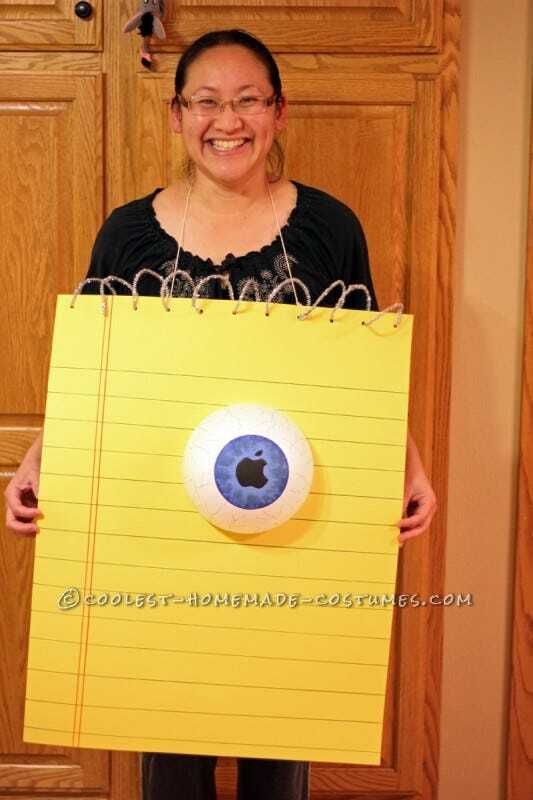 Make people think with this very literal eye-pad costume. This clever idea gives a twist to the classic iPad found in many work spaces and incorporates a paper costume as well! An office isn’t too handy without a pencil! This feminine take on a pencil costume is perfect for teachers looking to celebrate the holiday with their students. 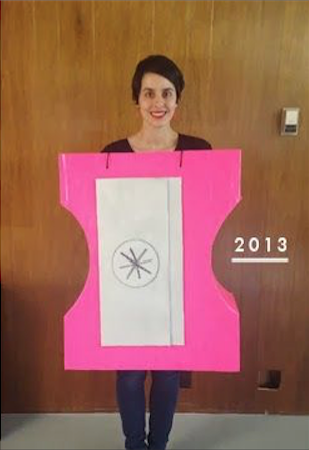 Beware: this costume won’t be able to be erased from people’s minds! Feeling a bit dull? Liven up the mood with this simple DIY pencil sharpener costume, resembling the handheld ones used during your childhood. It’s quite self-explanatory, so you’re sure to get the point across! Whether you’re celebrating Halloween this year or simply spending it on the couch with a scary flick and a bowl of candy meant for the kids, these work inspired costumes are sure to bring a smile to any office supply geek out there!